Positron emission tomography - computed tomography (PET/CT) is a notable technological advancement in multimodal imaging by identifying changes in body at cellular level. PET/CT scanner device combines the measurement of metabolic activity and anatomical features. The integrated imaging combines the strengths of PET and CT and hence shows promise in accurately diagnosing, localizing, and monitoring for a range of diseases. PET/CT scanner device holds vast promise in diagnosing cancer, heart disease and certain brain disorders. In particular, the imaging technology holds great potential in clinical oncology, especially for the staging of solid malignancies needed in colon and lung cancer. Having said that, PET/CT scanner device is still a new application in clinical practice. Owing to its excellent standardization and precision, the imaging is being preferred in clinical trials for improving the outcomes. Hospitals in developed nations are displaying marked revenue generating potential by showing propensity for advanced oncology services for their patients. To this end they are entering into collaboration with medical technology companies. Royal Darwin Hospital (RDH), a prominent hospital in Australia, has in March 2019 entered into a partnership with Siemens Healthineers where the former will have deploy advanced PET CT scanner devices. The healthcare institution intends to use the modality for rapid scanning of medical conditions, using only lower doses of radiation and personalized scans. This also eliminates the need for bed-based imaging that were carried under traditional PET. Governments in numerous developing countries have become actively interested in assessing and meeting the needs of PET-CT scanner devices in hospitals. One such measure has been noted recently in India, where the state government of one of its states has been asked by law making agency to submit an assessment of the requirement of PET-CT scanner device in all district headquarters hospitals. Radiology groups in developing regions are showing a marked inclination of expanding their diagnostic capability by adding PET-CT. One such initiative has been notices in South Africa, where a radiology group in Eastern Cape Province, Africa, has deployed a scanner device in its cancer care center. With this, oncology patients will benefit immensely as now they would not need to seek services outside the province. 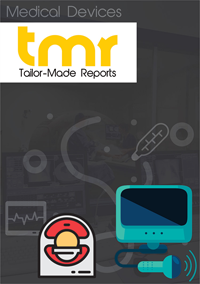 Some of the prominent players in the global PET-CT scanner device market are Mediso Ltd., PerkinElmer, Inc., Shimadzu Corporation, Hitachi, Ltd., General Electric Co., and Toshiba Corporation. The need for overcoming the limitations of PET and CT in oncology imaging in developing and developed regions is a key factor driving the demand for PET-CT scanner devices. One of the objectives of oncology is to get precise anatomical imaging combined with advanced molecular techniques. The rising demand for a cost-effective non-invasive technique for the staging of cancer is also catalyzing the prospects of the global PET-CT scanner device market. PET-CT scanner device are fast gaining traction in multiple areas such as diagnosis, staging, monitoring of cancer management, and radiotherapeutic planning. Technology advances have resulted in imaging with better accuracy, performance, and reproducibility, thereby catalyzing the prospects of the global PET-CT scanner device market. Functionalities in focus pertain to resolution and contrast, time-of-flight acquisition, and field-of-view imaging. Further, increasing inclination of healthcare providers toward value-based personalized care is a notable trend boosting the market. In various parts of the globe, the increasing incidence of cancer, especially of lung, breast, and colon is a notable trend boosting the market. PET-CT scanner devices are also witnessing increasing potential in monitoring cardiac conditions. The growing prevalence of cardiovascular diseases is a significant factor fueling the prospects. On the regional front, developing regions are witnessing rising potential in the global PET-CT scanner device market. In particular, Asia Pacific may show an exceptional potential and may gain shares in the coming years. The growth in the regional market is fueled by rapidly rising elderly populations who need diagnostic and radiology services. Moreover, substantial investments being made by governments in the key economies of the region for modernizing healthcare infrastructures in recent years has been imparting large impetus to the demand for PET-CT scanner device in the coming years. Meanwhile, North America is expected to rise at an attractive pace during the assessment period of 2018–2028.